When it comes to writing labels, I like to take my time. I’ve been in the meetings where it takes hours (not recommended, btw) to decide on border color and font size. I’ve worked for days and (sometimes) weeks, revising and refining language to write the perfect paragraph. Adds a level of passion. Quick labels get made because there’s something that visitors need to know right now. It could be a temporary event, it could be breaking news. Whatever the reason, this is something the museum cares about, and they want their visitors to care, too. Helps set a new tone. In any space – zoo, art museum, historical building – quick labels imply change. They can help remind visitors that objects, specimens, and stories aren’t static (even in the permanent exhibits), but rather are all part of ongoing discussions and explorations. Invites dialogue. The language of quick labels is usually more casual and direct than the language of permanent labels. That approach, combined with the fact that quick label information is so often perfect for discussion, leads to beautiful opportunities to engage your audience. And I’ll add a recently-discovered fourth reason to my list: sometimes it’s just right for the space. 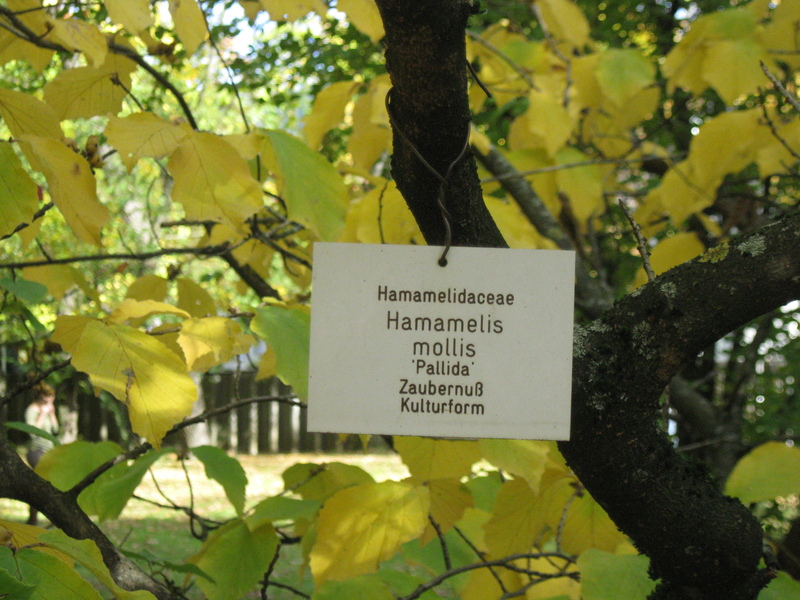 In the beautiful Botanischer Garten Freiburg near my home, the tree labels are simple and synoptic. What’s enchanting is the seemingly random way they’re hung off of tree branches on twists of twine. Labels mounted on stands would be too formal for the casual, inviting feeling of the garden. But these small signs, sprinkled throughout the garden as if someone ran through at the last minute, remembering that the trees needed names, are perfect. What are your feelings on quick, as-the-opportunity-arrives labels? I’m a huge fan of them in inherently dynamic spaces like zoos, and science museums, and I’m excited to see how they can be used more within the idea of permanent exhibit spaces.